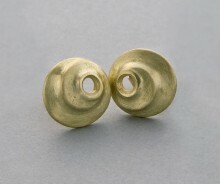 These modern and simple, contemporary and organic stud earrings are designed in concentric circles of generously spiraling 18ct gold, hand-finished with a soft matt texture, around an open centre with a contrasting shiny surface. 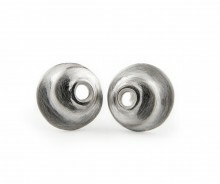 Their shell-like shape makes a witty counterpoint to the human ear, and the elegance of the design reflects L&N's purist philosophy; simple, luxurious beauty. 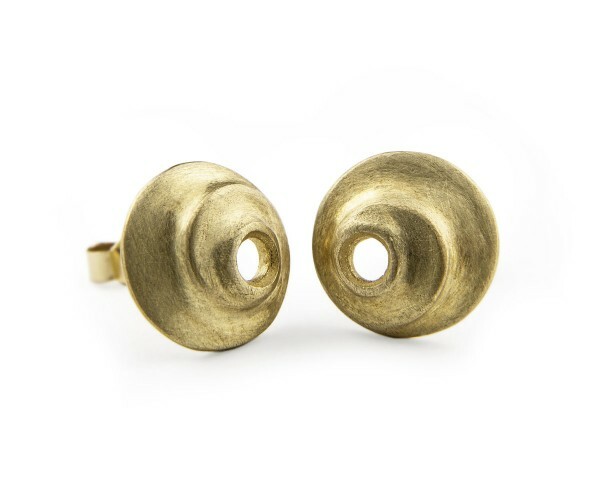 L&N is Modernist but wearable, cool but comfortable; the finish is exact and every piece is made to be easy to put on and to remove; the Spira Stud Earrings are made from British hallmarked 18ct gold in our workshops in the Garden of England. Pair them with the Spira Wire Strand Neckpiece for the complete Spira look. L&N makes everything in the UK. 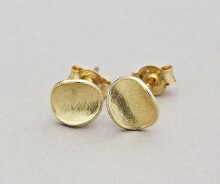 We use only British Hall-marked silver and gold, and every item is either hand made or finished by our makers. 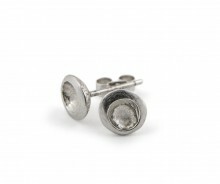 The Spira Stud Earrings come in our L&N gift-box, ready to go, so treat someone special with this beautiful piece. Or just buy them for yourself.